The revelation of Walter Jenkins’ arrest presented Johnson with his most serious crisis of the campaign. With the President in New York, frantic calls ensued back to Washington with advisors Abe Fortas and Clark Clifford. In the first call, after confirming from Fortas that the charges were true, Johnson ordered his confidante to obtain fundraising files from Jenkins’ office. President Johnson: —of that type have been seeing him every day or two for the last few days, and you ought to talk to him and talk to Mildred so that what his situation is goes over to you. President Johnson: What he has goes over to you. Fortas: All right, sir. I’ll take care of it. President Johnson: Do you follow me? Do you follow me? President Johnson: Mary Lasker and some of ‘em—different, a good many folks have been talking to him. Clark has; tell Clark about it, so that you can go talk to Mildred about it. Fortas: Clark and I will handle it; yes, sir. President Johnson: [Pauses.] I think that you ought to—will you be seeing him at all? Fortas: I can. I have access to him. President Johnson:I think you ought to see him and ask him where he has these materials, so that you can be positive of that right away. Fortas: Where he has the what? President Johnson: This Mary stuff—Mary Lasker stuff. Fortas: Yeah. I’ll see him and find out where that is and get it. President Johnson: Because it’s—I’ll be using this next week in television and everything. President Johnson: You better do that, though, right away. Fortas: I’ll do that right away. An hour later, the President checked back with Fortas, wanting to know if he had obtained the Lasker material. President Johnson: Did you take care of that thing that I told you to? [Pauses.] Have you been by Walter’s office? President Johnson: Did you get that material? Fortas: It’s all taken care of. I don’t have the material, but it’s all in order. Fortas: I know where it is, and everything about it. President Johnson: Well, I sure hope that you can get it over to your place. President Johnson: I think that’s important. President Johnson: Eddie’s [Weisl] here with me, and he has been in there several times. Said lots of names involved, and lots of other things. President Johnson: I think you ought to go by this evening. Pack up your papers and your briefcase; get Mildred [Steagall] to meet you there. Fortas: All right, sir. I’ll do that. 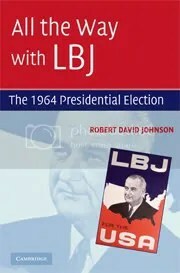 LBJ also reached out to such trusted friends as Texas governor John Connally. After gratuitously suggesting that he might have noticed Jenkins acting once a twice in a way that might have indicated closeted homosexuality, Connally analyzed the effect of the scandal, and offered guidance. Connally did not recognize the more serious problem—LBJ’s having ordered an FBI investigation, coordinated by liaison Deke DeLoach, even though Jenkins’ White House files contained information of unethical and possibly illegal fundraising activity. This matter is discussed in the book—this clip, with Jenkins’ secretary, Mildred Steagall, and Abe Fortas, confirms Johnson’s instructions that Fortas get to the office and remove the damaging material before the FBI arrived. Mildred Steagall: Deke [DeLoach] is on his way over. President Johnson: Well, you see that Abe gets all your material . . .
Steagall: All right, sir. Anything you want to tell him, because he’s right here. President Johnson: Because I’m fearful that as Deke’s boys go to following through, that they might be coming over there [to Jenkins’ office] looking for confidential papers, and other things. And I wanted to be sure that you had been there. Fortas: Yes, sir. I’ll do that. One person from within the President’s circle of advisors disagreed with the decision to distance wholly from Jenkins. In this clip from the next morning, the First Lady explained her thinking—and her intent to go forward regardless of her husband’s desires. To the shock and dismay of Republicans, the First lady’s instincts proved correct, and the crisis caused little harm to LBJ’s chances. But just before Election Day, rumors circulated of another bombshell—the GOP would reveal a member of the cabinet was a closeted homosexual. In this clip, laced with double entendre, FBI director J. Edgar Hoover assured LBJ that the rumors were groundless. J. Edgar Hoover: No. It was just the suspicion that his mannerisms and so forth were such that they were suspicious. President Johnson: Yeah. He [Jenkins] worked for me for four or five years, but he wasn’t even suspicious to me. But I guess you’re going to have to teach me something about this stuff! President Johnson: I’ll swear I can’t recognize them. I don’t know anything about it. Hoover: It’s a thing that you just can’t tell. Sometimes, just like in the case of this poor fellow Jenkins . . .
Hoover: [continuing] There was no indication in any way. Hoover: [continuing] And I knew him pretty well, and [FBI White House liaison Deke] DeLoach did also, and there was no suspicion, no indication. There are some people who walk kind of funny and so forth, that you might kind of think are little bit off, or maybe queer. But there was no indication of that in Jenkins’ case. Hoover: So far, I haven’t been able to get any more detail than was given to me yesterday, namely that this man [the alleged closeted homosexual] was a cabinet officer, and will be exposed today. Now, I thought of all the cabinet officers that we have—and whom I don’t know personally—but there are none of them that raise any suspicion in my mind. President Johnson: None in mine.